Tracking numbers will be sent out to your email once the order has been shipped. Once you receive it use the tracking number in the corresponding shipping company. To look at your order information got to My Account. FedEx allows you to input up to 30 tracking numbers at a time. You can enter FedEx tracking numbers from all the different tracking speeds. Including FedEx Express, FedEx Ground, FedEx Freight, FedEx SmartPost, or FedEx Custom Critical numbers. Please ensure that you enter only one tracking number per line. FedEx will give you live updates of where the last scan was. Due to unforseeable weather we will not be held responsible for late packages due to weather. Please allow up to 24 hours for shipment updates to show on website. UPS allows you to enter up to 25 tracking numbers at a time. Including UPS next day air, UPS 2nd day air A.M., ups 3-day select, UPS 2nd day air, and UPS ground. UPS tracking traces the shipments and gives you live updates on its movement as it is scanned at the different locations. UPS will automatically assign a tracking number to your order. The number will be emailed out to you with your order so you. Due to unforeseeable weather, we will not be held responsible for late packages due to weather. 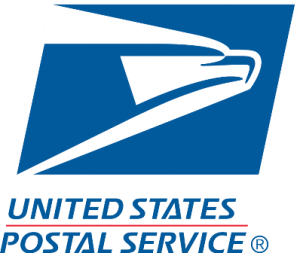 When you receive your USPS tracking number click the link to check the delivery status of your package. To check the status of your package enter the tracking number exactly. The USPS tracking number will be 20-22 digits long and will not contain letters. USPS tracking numbers for express mail are normally 13 digits long and begin with two letters. Due to unforseeable weather we will not be held responsible for late packages due to weather. To track your Southwest cargo shipment follow the link and enter the Southwest Cargo tracking number that was sent to you in the email. This will keep you updated on the time of arrival as well as the time you will be able to pick up your item. Southwest Cargo allows you to see live updates of when the plane took off and an about time of when the plane will land. Finally, if you have any issues please contact southwest cargo. Due to unforeseeable weather, we will not be held responsible for late packages due to weather.